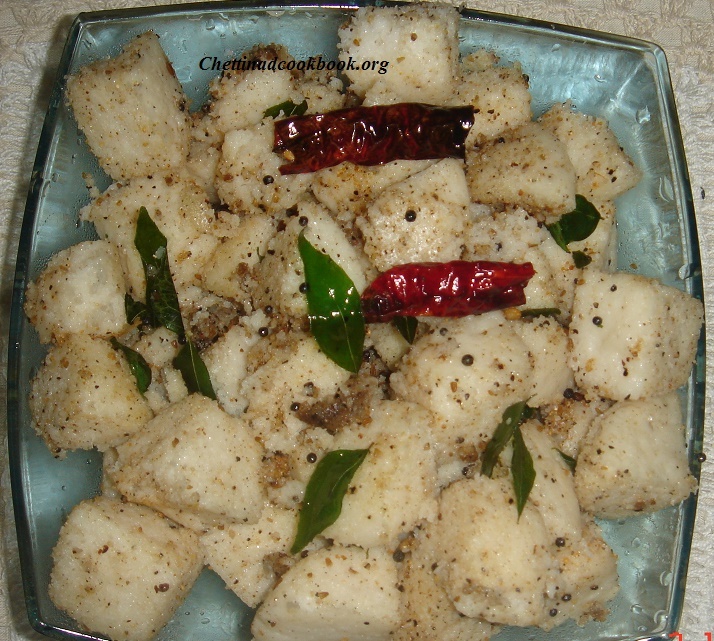 Here is a great idea to make left over Idlies,as fresh and spicy for dinner.Do not waste food is the concept here,make it special as you like,we have many ideas to prepare left over Idlies like Idli uppma,Idly masala,Chilli Idly and here is pepper idly,This tastes good even without side dish. Cut Idlies in to small cubes,Mini idlies also can be used. Crush pepper 1 teaspoon with 1 teaspoon of cumin seeds. 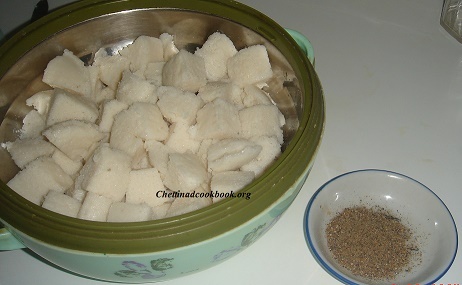 Sprinkle some salt on it,Remember there is salt already added in Idly. Add crushed pepper powder and mix it carefully,so as to get coated well. Heat pan with oil add “To temper” Ingredients. Add curry leaves,now add pepper salt mixed idlies in it stir well. Reduce Flame,stir occasionally,It gets roasted in 5 minutes. Freshly made Pepper Idly is ready,Serve hot with Tomato chutney or even good without any side dish.